I want that hoodie! Where do can I get one!!! Hey Angelina! 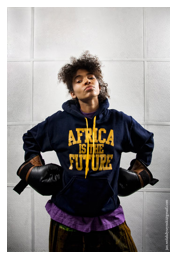 The hoodie will probably be available in the next installation of SUPAFRIK. We will email you with an exact date once it is confirmed. Alternatively you can also try ordering it from their website.